Adler, D. H., Pluta, J., Kadivar, S., Craige, C., Gee, J. C., Avants, B. B., & Yushkevich, P. A. (2013). 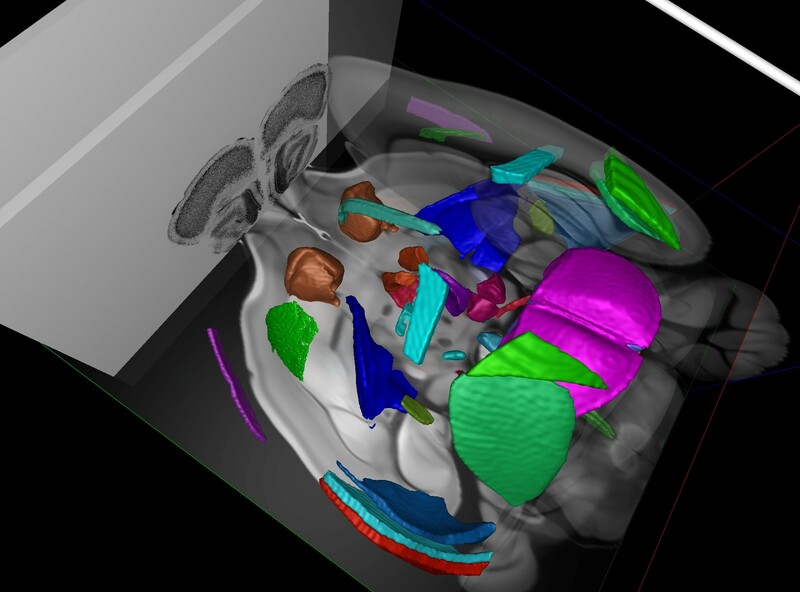 Histology-derived volumetric annotation of the human hippocampal subfields in postmortem MRI. NeuroImage, 84, 505-23. Cell Locator is a tool for placing tissue samples into annotated 3D coordinate systems. Users can draw polylines onto arbitrarily oriented slices of the 3D space, give them a physical thickness, and save the results to the JSON file. This tool is intended to be used by members of the BICCN to localize their cells and tissue samples so that data can be described in a consistent spatial framework. The tool currently supports the Allen Common Coordinate Framework v3, and will be extended to support a human reference space soon. Cell Locator was developed by Kitware, Inc. It currently supports Windows, and will soon have installers for MacOS and Linux. The Brain Cell Data Center (BCDC) at the Allen Institute for Brain Science provides a foundational community resource on cell types in the mammalian brain by sharing the integrated data, tools, and knowledge produced by the BRAIN Initiative Cell Census Network (BICCN).